Assistant Education Officer in the Early Childhood Division, Veda George has called for a Paradigm Shift in the way our children are being taught. 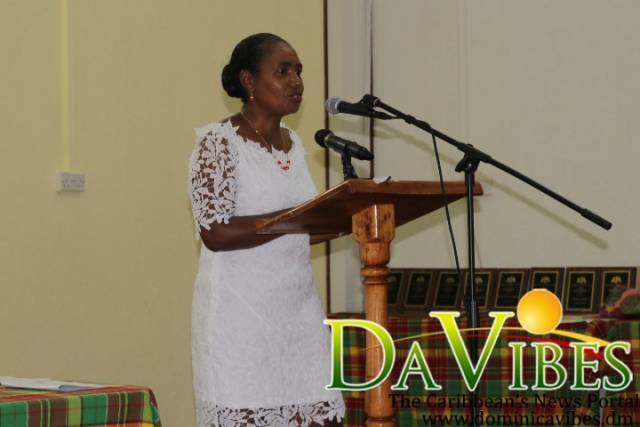 Ms. George made that call while addressing the National Early Childhood Development Symposium, held at the Goodwill Parish Hall on Monday. She stated that a shift must be made to prepare the young children for lifelong learning. “I called for a shift in the paradigm as it relates to the way in which our children are being taught,” she said as she recalled. “There needs to be a shift from the simple coloring and circling of adult work to teaching our children to be active learners in preparation for life long learning. I will continue to say it until I see a real shift in the paradigm across the country not just at some centers,” George stated. George pointed out that it is the responsibility of parents to make sure that their children are being nurtured properly at the Pre-School level. “It is a joy to enter any preschool any time at any day, as you see the joy on each child’s face and the way they do their work as each child is different,” she noted. Then George pointed out that when you enter a Preschool and notice the work of children on the walls that each should be different. “Parents it is your responsibility to ensure that the talents of your child or children are being nurtured at the preschool years;” then she advised that parents take note to see that their children’s work on display should be an expression of individual talents, levels of development while taking note that it is indeed their child’s work or the work of an adult. George also pointed out that talking is not the benchmark for enrollment in Preschool. She was speaking in terms for readiness for children socialization. “At Symposium 2016 I presented an image of the formation of neurons in the brain and stressed on the age at which our children are generally ready for socialization, and I stated that the readiness for socialization is the benchmark for maturity, independent learning and the benchmark for enrollment in Preschool,” she went on to day. “Talking is not the benchmark because if it were our children would have been enlisted in school from age one year,” George added. She then reminded the audience that children who begin Preschool for the first time should be 3 years old by December 31st of that academic year.